Do you have a favorite food combination? Mac & cheese? Cupcakes & sprinkles? Toast & jam? 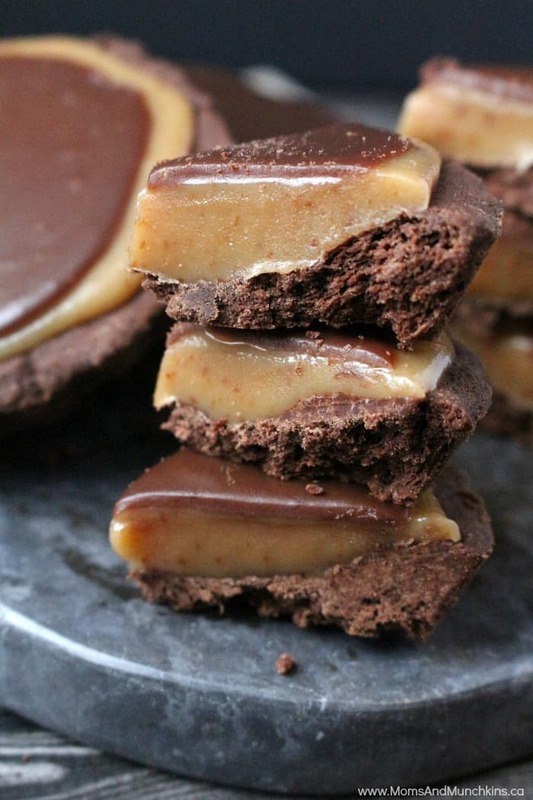 For me, one of my favorite combos has to be chocolate and caramel. Yes, I have an addiction to chocolate and I can’t help but start drooling when I see it paired with caramel. 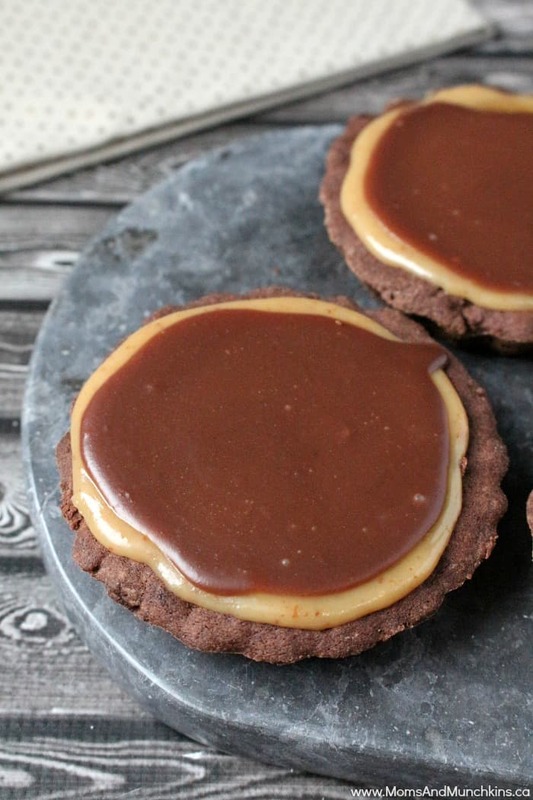 These chocolate caramel tarts require a few different steps for each piece (tart shell, filling and ganache) but it’s well worth the effort! 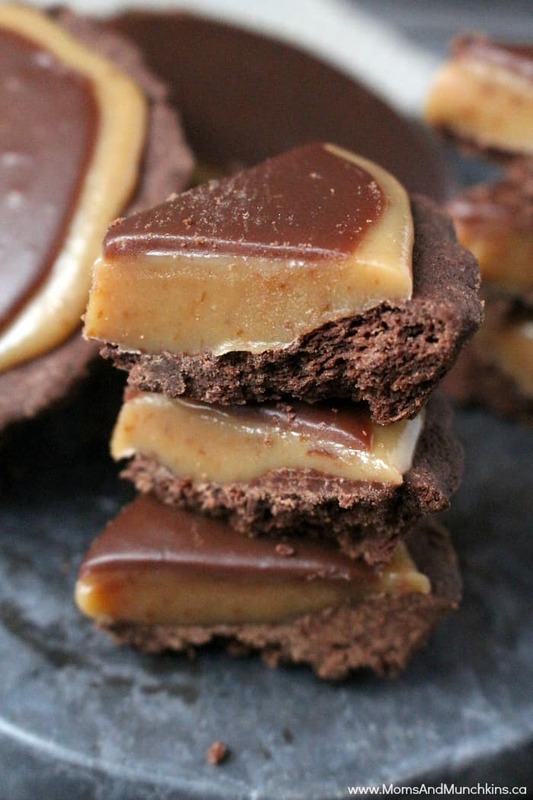 You’ll want to start with the tart shell, then prepare the caramel filling and then the ganache. The caramel starts hardening quickly so don’t make it until the tart shells are cooked and ready for filling. Since the caramel hardens quickly, don't prepare it until the tart shells are ready for filling. This recipe makes 4 individual sized tarts. To make one large tart, double this recipe. Tart shells: Mix all ingredients in a bowl. Stir well with spoon to mix. Place tart batter into 4 individual-sized tart shells sprayed with non-stick cooking spray. Place tart shells in fridge for 30 minutes. Preheat oven to 350F. Remove tart shells from fridge and prick each with a fork several times. Bake for 20 minutes. Remove from oven and let cool before filling. Caramel Filling: Place all ingredients in a pot and set on stove on medium-high heat. Stirring constantly (this burns really easily), bring mixture to a boil and continue stirring while it boils for 5 minutes. Remove from heat and immediately pour into tart shells. Ganache Topping: Place chocolate chips in a medium bowl. In a pot, bring heavy cream to a boil and immediately pour over chocolate chips. Let stand 5 minutes. After 5 minutes, add the butter and stir until well mixed. Pour ganache evenly over the 4 tarts. For more delicious recipe ideas, visit our Recipes page. We’re always adding new & tasty ideas. Stay updated on the latest by following us on Facebook, Twitter, Pinterest, and Instagram. Wow…these treats look amazing! I can’t wait to try these treats for my family! Thank you for sharing! PINNED!